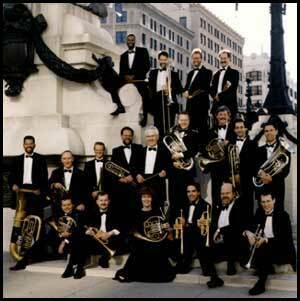 A concert by Carmel Brass typically contains something for everyone. Because brass instruments have been so important in music over the last four hundred years, a wide variety of musical styles can be presented. Classical to rock, jazz to folk, composed to improvised, Europe of 1690 to Hollywood of 1990 -- its all there in a concert by Chamber Brass Choir. Celebrate, dedicate, educate -- and above all, have fun -- with Carmel Brass.